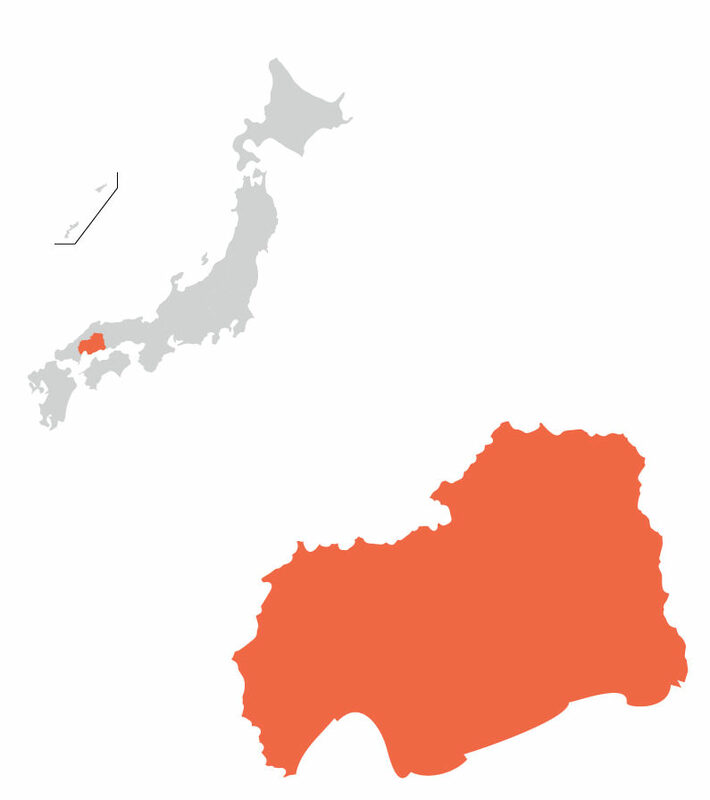 Hiroshima Prefecture is located in the Chugoku region and has two UNESCO World Heritage sites: the Atomic Dome and Itsukushima Shrine. 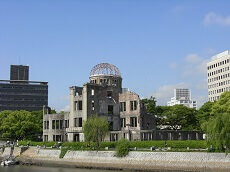 Perhaps one of the most famous sites in Japan, the Atomic Dome in Hiroshima was built to symbolize its wishes for everlasting peace after the atomic bomb hit the city. 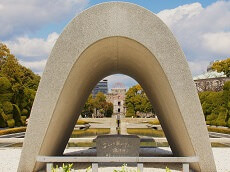 When the city suffered the attack on August 6, 1945, the now Atomic Dome, formerly the Prefectural Industrial Promotion Hall, was one of the few buildings that remained standing. 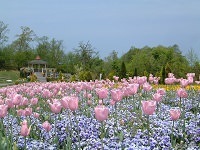 The building has been preserved in the state that it was in when it was attacked. 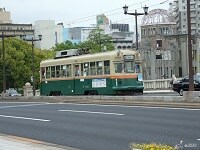 Just across is the Peace Memorial Museum where the history of Hiroshima and the atomic bomb are kept. On display are several upsetting, yet real artifacts that depict the countless lives the bombing affected. 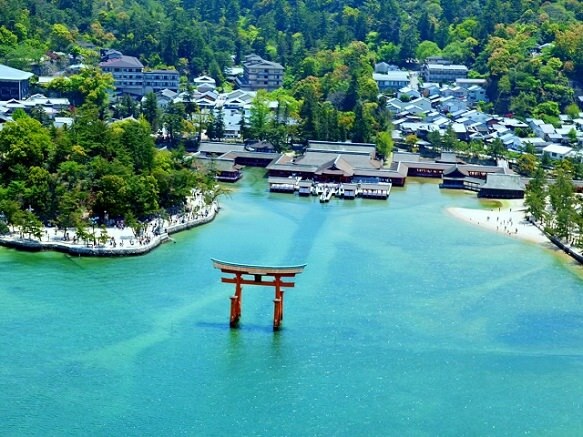 In Miyajima, a small island off the coast of Hiroshima is the Itsukushima Shrine. 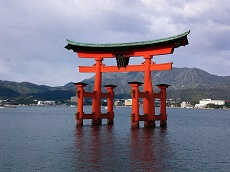 Itsukushima Shrine is best known for its torii gate which seems to be floating during high tide. During low tide, the gate can be approached by foot. 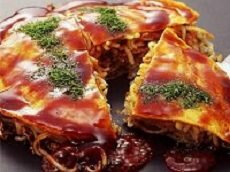 Hiroshima’s most well known local dish is probably the Hiroshima-style Okonomiyaki. Hiroshima’s okonomiyaki takes a spin on the better known okonomiyaki of Osaka. Rather than mixing the layers together, the Hiroshima style okonomiyaki is served in layers. It also uses about three or four times more cabbage than the Osaka okonomiyaki, resulting in a very tall okonomiyaki. 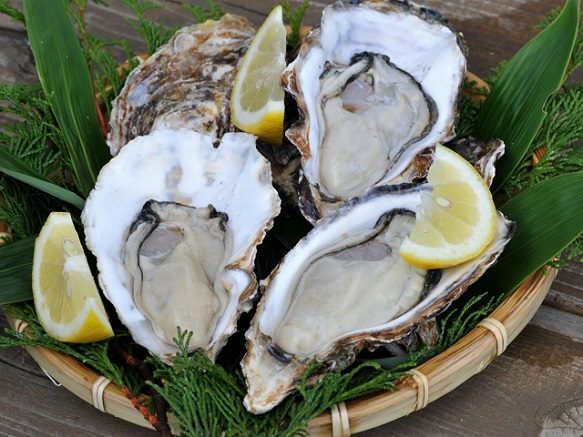 Hiroshima is also known for accounting for half of the country’s oyster production. 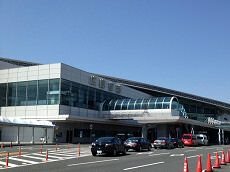 Various oyster dishes are available through Hiroshima. Oysters are enjoyed raw with ponzu sauce, grilled with various sauces such as butter, fried (kaki fry), or even cooked and mixed with rice (kaki meshi). 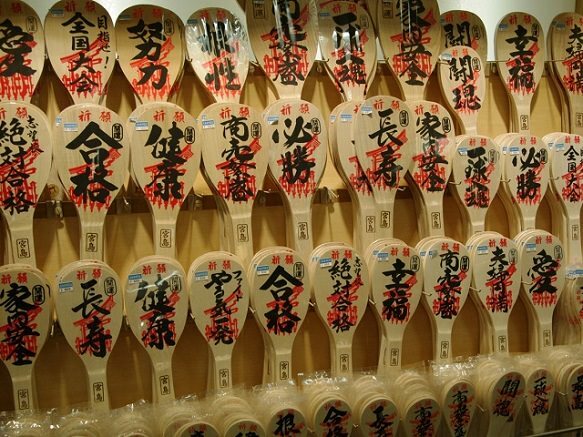 Shamoji are flat paddles used to serve rice in Japan. 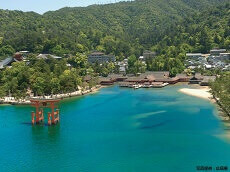 It is said to have been created by a monk in Itsukushima, Hiroshima. 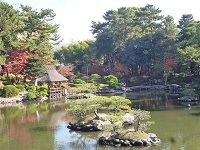 Shamoji are generally used to mix and serve rice, as well as for preparing vinegar rice for sushi. 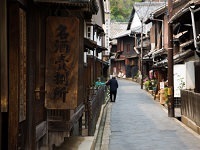 The traditional shamoji were made of wood but today most people use paddles made from plastic. 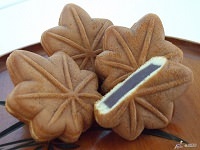 Shamoji has become a symbol of Hiroshima and its unique shape has been featured in many products. Some bento boxes in Hiroshima are shaped like a shamoji and some food such as kamaboko (fish sausage) are also sold shamoji-shaped. Every August 6th, Hiroshima holds the Hiroshima Peace Memorial Ceremony to remember the victims of the horrific atomic bombing of Hiroshima and to pray for world peace. 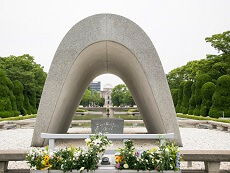 Hiroshima Peace Memorial Ceremony includes speeches by the mayor, the Prime Minister, and others as well as a silent prayer and the ringing of the peace bell which is done at 8:15 am, the exact time of the dropping of the bomb in 1945. During Hiroshima Peace Memorial Ceremony a Peace Declaration is delivered by the mayor expressing Hiroshima's wishes for the abolition of nuclear weapons from the world. 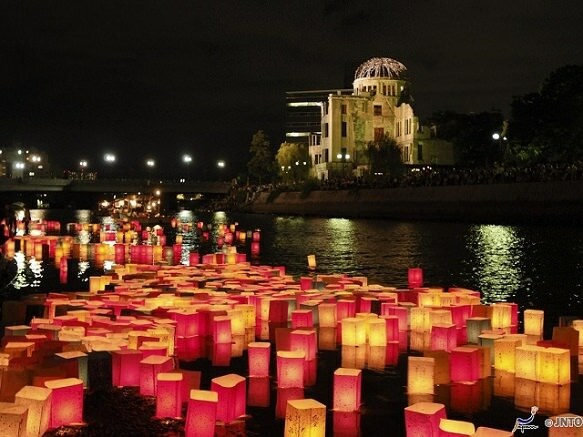 Hiroshima Peace Memorial Ceremony is broadcasted in many countries worldwide.